Will Nature Put an End to the Global Warming Debate? Is Nature preempting global efforts to reduce greenhouse gas (GHG) emissions and stem the rising tide of global mean temperatures? And revealing the inadequacy of humanity’s collective response to date? A scan of the past week’s climate news suggests this may be the case. Mongolian parents living in Ulaanbaatar are sending their children off to the country’s vast, sparsely populated grasslands to improve their health and reduce the chances they’ll wind up catching pneumonia or suffering other chronic or acute respiratory diseases like asthma, bronchitis, emphysema or hypoxia. 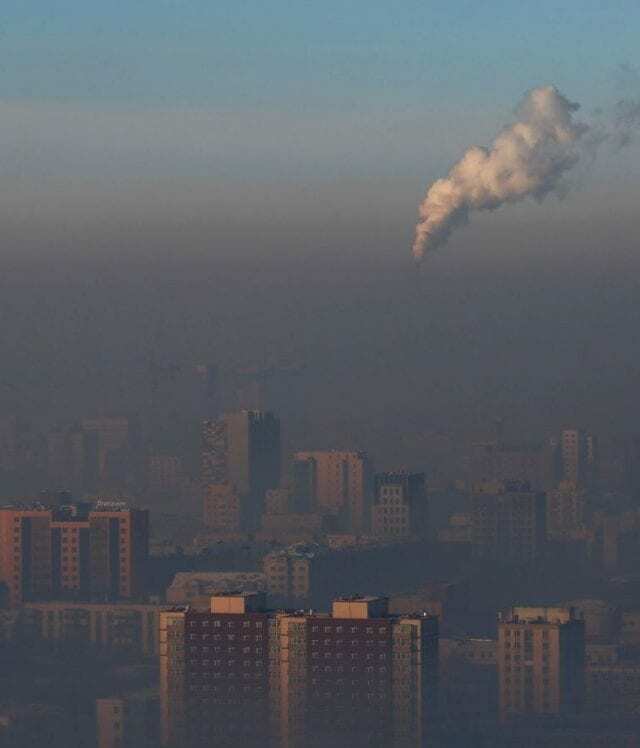 Using U.S. Embassy data, Reuters calculated that annual average PM2.5 (Particulate Matter 2.5) concentrations hit 100 micrograms in Ulaanbaatar in 2018, peaking at 270 in December. The World Health Organization says concentrations should not reach over 10. Here’s a lovely picture a tourist might snap and post on Facebook or Instagram. The story is much the same in cities across Asia. From Beijing to Bangkok and on to New Delhi, inhabitants don air-filter masks to insulate themselves from the heavy organic particulate matter — carbon soot and such — and polluted air in which they’re immersed. Air quality indexes typically reach levels orders of magnitude higher than what the World Health Organization (WHO) considers healthy. But who knows? Maybe they’re actually much higher still, but health and government officials don’t want to let on for fear of causing widespread panic and mass exodus. As bad as all this is, it’s small potatoes when considered against the much slower, even more profound changes to fundamental ecosystems and natural resources scientists worldwide are are picking up, changes that are taking place so gradually as to go unnoticed by anyone not properly trained and actively looking out for them. According to the just-released Hindu Kush Himalaya Assessment, one-third of Himalayan glaciers will melt by the end of the century due to climate change, threatening water resources for 1.9 billion people, even if current efforts to stem the rising tide of global mean temperature succeeds. Failure to limit global warming would result in the loss of two-thirds of the region’s glaciers by 2100, according to the report, which was produced by the International Centre for Integrated Mountain Development. “Global warming is on track to transform the frigid, glacier-covered mountain peaks of the Hindu Kush Himalayas cutting across eight countries to bare rocks in a little less than a century,” said the report’s lead author, Philippus Wester. The signs aren’t good far south, either. Taking advantage of new satellite, ice-penetrating radar observations from NASA’s Operation IceBridge, scientists discovered a gigantic cavity growing at the bottom of West Antarctica’s Thwaites Glacier. At present, the cavity is nearly 300 meters from top to bottom and is about two-thirds the size of Manhattan. Having melted over the past three years, the researchers believe the cavity previously contained 14 billion metric tons of ice. The melting of that ice accounts for about 4 percent of global sea level rise, they say. If Thwaites melts entirely, sea levels could rise by 65 centimeters (25.6 inches), they figure. Meanwhile, for climate change deniers like U.S. President Donald Trump it’s business as usual. They see nothing wrong, and no human hand playing a role in global warming. One of the latest, “What, me worry?” climate change moves by the U.S. president: appointing a former oil industry lobbyist to lead the U.S. Dept. of the Interior. Many of those that lead us into this mess, or who now lead organizations that did, are now touting solutions. They may well prove to be half-measures at best. Silicon Valley venture capitalists and tech entrepreneurs, investment banks, corporate lawyers, tax accountants and the entire cast of other supporting players, e.g. logistics providers, lobbyists and public relations companies, cheered when then-President Bill Clinton and his crack team of advisers, with former Treasury Secretary and Goldman Sachs CEO Robert Rubin at the fore, began working closely with their Chinese counterparts in the mid- to late 1990’s to open the doors to foreign direct investment, launching a rapid industrialization campaign that is only now just beginning to morph, evolve and take on another form. Now some of those same, along with a new generation, of Silicon Valley venture capitalists, tech entrepreneurs and investment bankers, lawyers and tax accountants are leading the way forward, touting new energy technologies and the digitization, decentralization and “decarbonization” of energy, the economy and society as the guiding, informing principles that can lead us out of the environmental and socioeconomic morass we and previous generations have created. In just a generation or so, China has grown into the world’s second largest economy. The days of growing up with famine that their grandparents or perhaps even parents lived through are unimaginable to younger generations. The price tag has been high, however; especially high when it comes to all other forms of life, the environment, and all the resources and fundamental, life-giving ecosystem services it provides. Agricultural, other rural and urban lands are increasingly contaminated with an untold amount and variety of contaminants that pose threats to life. Ditto for its waterways, and as for air pollution, Beijing has become a global poster child for toxic air quality. Isn’t unrestrained capitalism driven by science and technological innovation largely free of simple human and ethical considerations grand? It’s a system that ceaselessly creates new, innovative solutions that rely on people spending their money to purchase goods and services, creating entirely new types and categories of problems to deal with along the way and then coming up with a new generation of innovative technological solutions to solve them. With much of its manufacturing and heavy industrial capacity having shifted overseas, and with a more open society that to this day still includes a stronger, more active community of environmental, human rights and social justice organizations, the U.S. has managed to avoid the worst insults, hardships and costs Nature has been tossing China and other rapidly industrializing nations’ way. A quick survey of the news headlines should erase any notions that the effects of environmental degradation and global warming aren’t in evidence, and exacting an increasingly high price, in the U.S., or anywhere else in the Americas, however. Trump and minions can deny and the world’s leading, brightest lights can come up with workable, pragmatic solutions to stave off the worst effects of climate change. Nature can always rear its ugly head, step in and ultimately determine the course humanity has to take.